New Delhi: India Prime Minister Narendra Modi launched India Korea startup hub in Seoul. 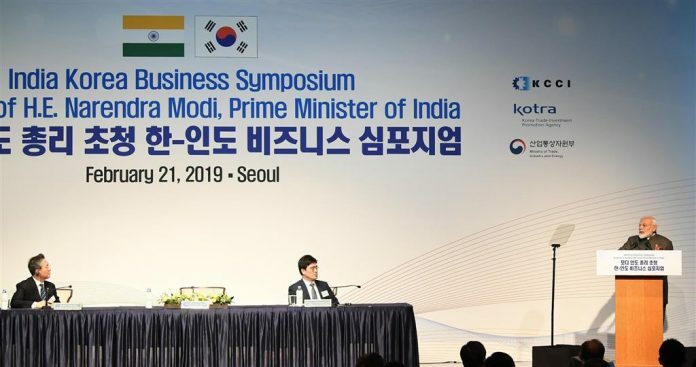 Delivering keynote address at India-Korea Business Symposium Mr Modi said India has emerged as a land of opportunity and no other large economy in the world is growing at over 7 per cent year after year. Prime Minister said, his government has introduced flagship program Start-up India with 1.4 billion dollars fund for four years to create a startup eco-system in India. 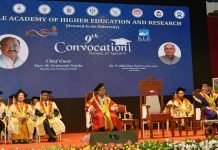 He said India is one of the most open countries for FDI today and more than 90 per cent of its sectors are now on automatic route for approval. Mr Modi said, while we work for realizing the ‘Indian Dream’, we seek like-minded partners and among them, South Korea is seen as a truly natural partner. He said India is among Korea’s top-10 trade partners. Their trade volume has reached 21.5 billion dollars for 2018. Mr Modi said, in renewable energy, India has become the sixth largest producer in the world and its initiative of the International Solar Alliance, will enable it to be a pioneer in moving in the direction of a green Global economy. Prime Minister reached Seoul this morning on a two-day visit to South Korea. Mr Modi will hold bilateral talks with South Korean President Moon Jae-in and receive the Seoul Peace Prize in recognition of his dedication to international cooperation, global growth and human development. Besides summit meeting with President Moon Jae-in, Prime Minister Modi will also have a number of engagements with the Korean leadership, businesses and Indian Community.